We are going to held our graduation ceremony at Watten Estate. For details and registration, please refer to the Cultural Section in International Plaza. 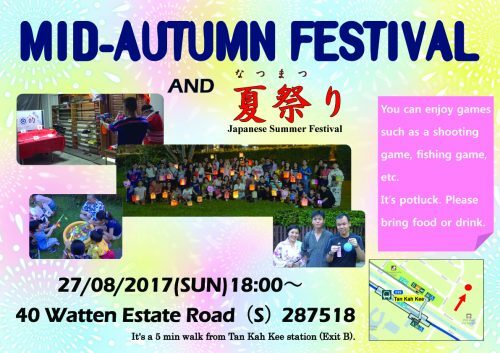 Why don’t you enjoy the Japanese festival? You can enjoy games such as shooting game, fishing game, and ring toss. This will be a potluck dinner so please bring a dish to share!